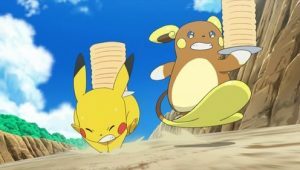 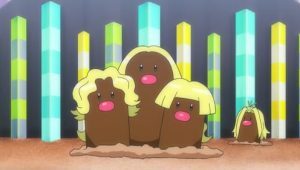 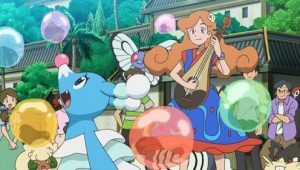 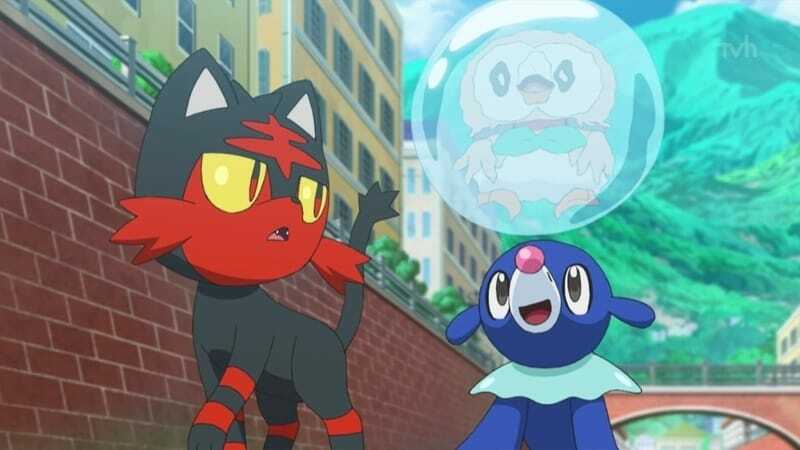 While training on a beach, Lana’s Popplio and Ash’s Rowlet are caught inside one of Popplio’s balloons, which is blown away by a strong wind. 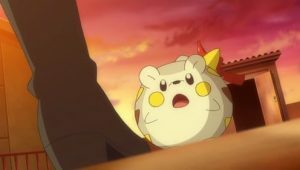 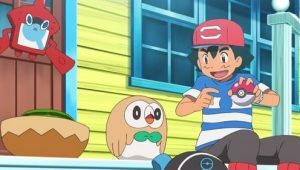 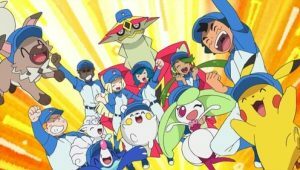 Rowlet bursts the balloon open, and they both crash into Team Rocket’s secret base. 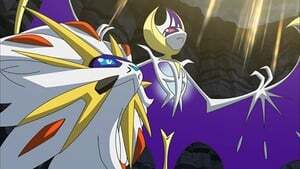 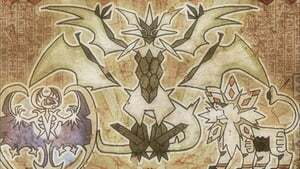 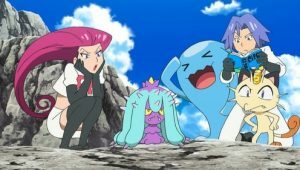 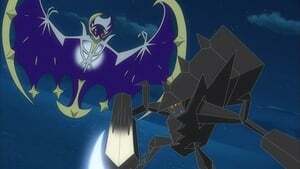 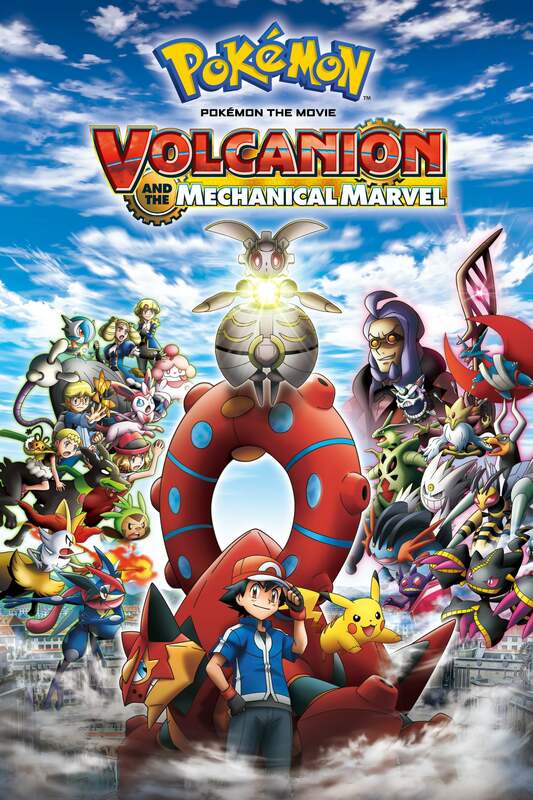 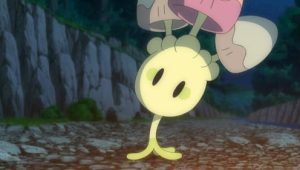 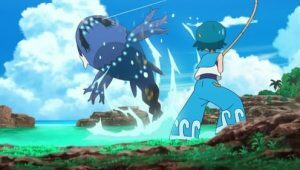 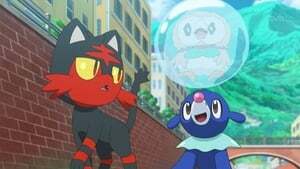 Meowth and Mareanie chase after them, but they are rescued by Litten. 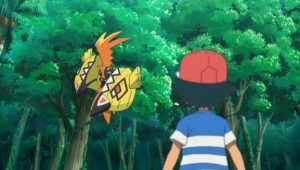 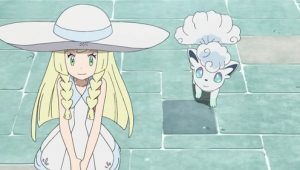 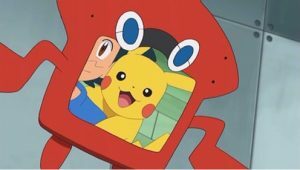 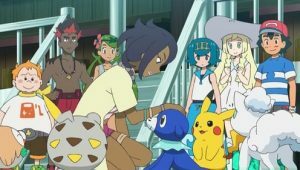 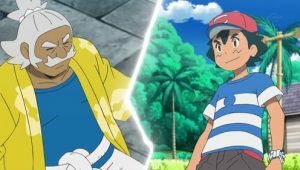 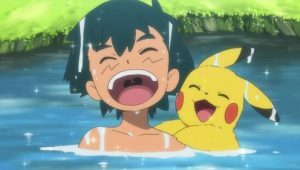 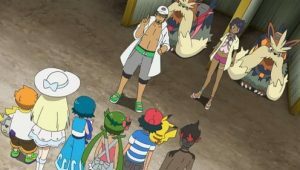 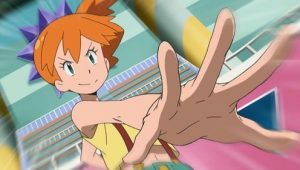 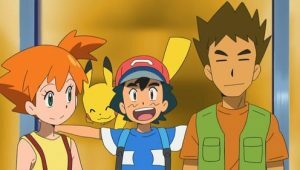 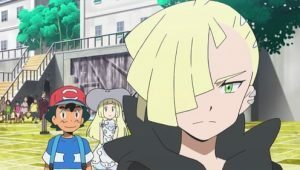 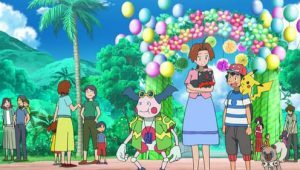 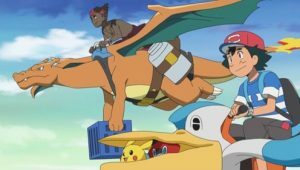 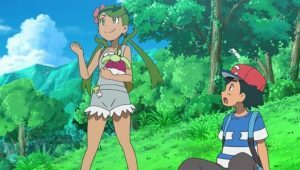 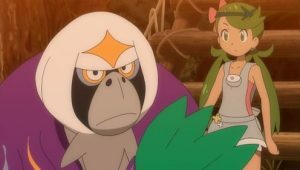 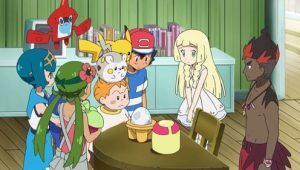 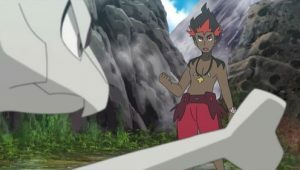 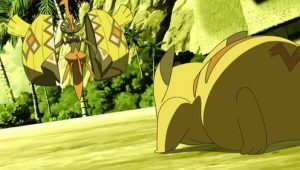 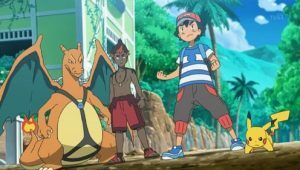 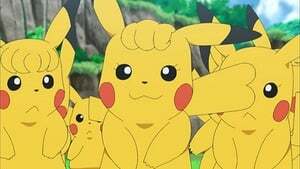 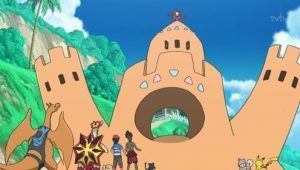 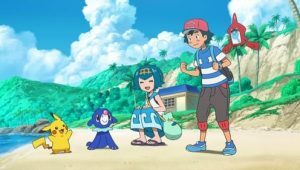 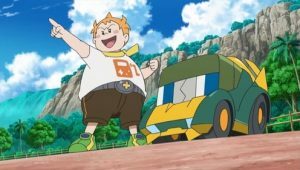 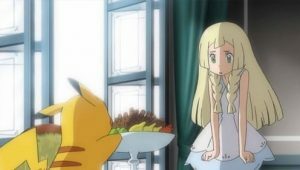 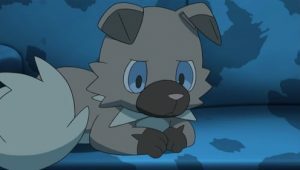 While Ash, Lana, and Mallow search for the missing pair, Litten takes them to where it has been staying with the old Stoutland. 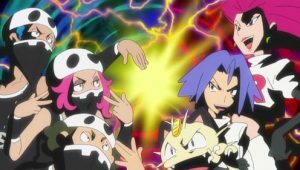 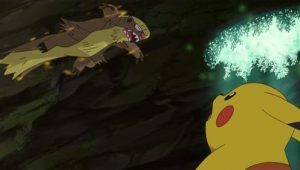 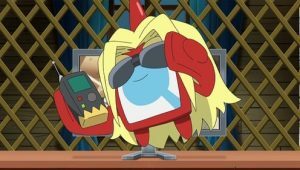 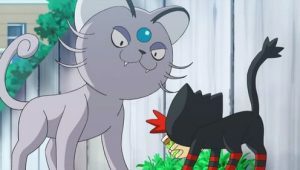 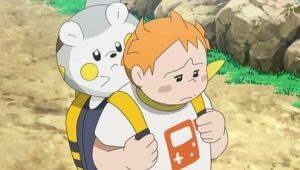 Stoutland asks Litten to help them find their trainers; however, Team Rocket is also hunting them. 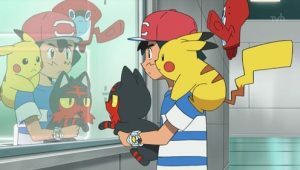 Who will find Litten and the lost Pokémon pair first?